(ARIZONA, LTTW) Mr. DePreist was one of the few African American conductors to achieve international renown; and he refused to let disability derail his career. He went on conducting after polio, contracted in 1962, left both legs paralyzed and forced him to use the wheelchair. He died on Friday February 8, 2013 at 76, in Scottsdale, Arizona. He is survived by his wife, Ginette DePreist. John DePreist was born in Philadelphia, Pennsylvania in 1936. He studied composition with Vincent Persichetti at the Philadelphia Conservatory while earning a bachelor’s degree at the Wharton School of the University of Pennsylvania and a master’s degree from the Annenberg School for Communication at the University of Pennsylvania. In 1962, DePreist contracted poliomyelitis. However he recovered sufficiently, allowing him to enter and to ultimately claim first prize in the Dimitri Mitropoulos International Conducting Competition. 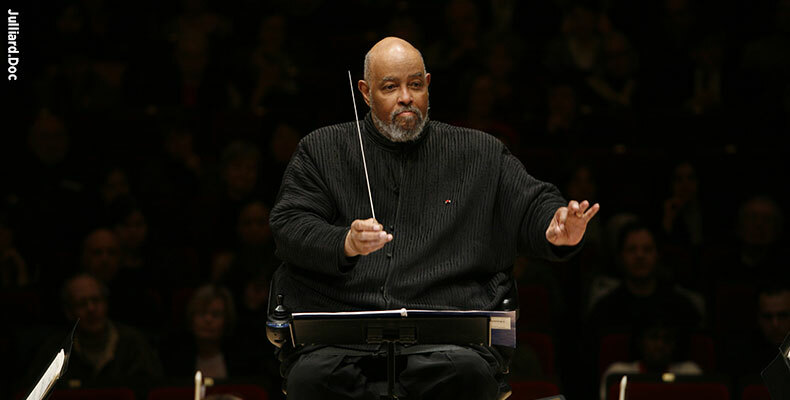 He was then chosen by Leonard Bernstein to become assistant conductor of the New York Philharmonic during the 1965–1966 season. DePreist made his highly-acclaimed European debut with the Rotterdam Philharmonic in 1969, then made appearances with other European orchestras in Amsterdam, Belgium, Berlin, Italy, Munich, Stockholm and Stuttgart. In 1971, Antal Doráti named him associate conductor of the National Symphony Orchestra in Washington, D.C. In 1976, DePreist was appointed music director of the Orchestre Symphonique de Québec, a position he held until 1983. In 1980, DePreist was named music director of the Oregon Symphony, a position he held until 2003. During his 23 year tenure, he led the transformation of the Oregon Symphony from a small, part-time orchestra to a nationally recognized group with a number of recordings. Peter Frajola, a principal violinist who joined the orchestra in the 1980s recalled “phenomenal musical journeys” with DePreist whose influence reached far beyond the music hall into the community. He was the symphony’s ninth music director and was succeeded by Carlos Kalmar.